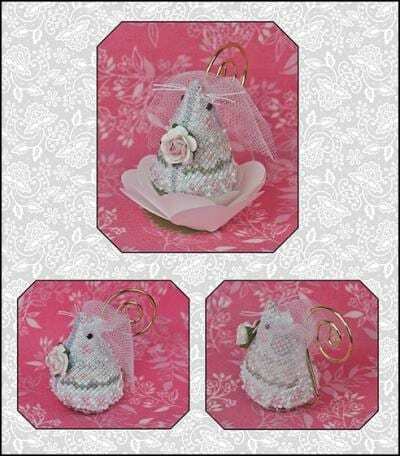 A limited edition pattern in the mouse series from Just Nan called Juliet the Bride Mouse. JNLEJBM. Includes the gold hanger for the tail, antique brass button for the base, beads, tulle for the veil and a rose bouquet. 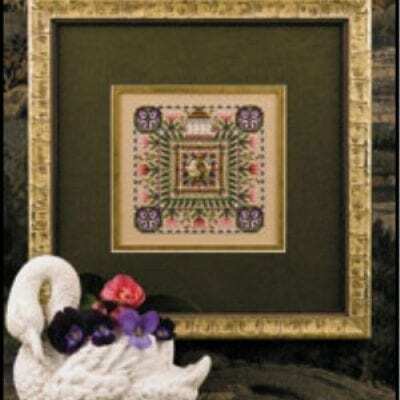 Design size is 29H x 57W on 32 count Silvery Moon Belfast Linen.